Mohd Zamri Baba can only realistically hope to finish third overall in the SuperSports 600cc title chase but will not rule out prospects of making a sustained challenge in the 2013 PETRONAS Asia Road Racing Championship season finale at the Losail Circuit in Qatar this weekend. 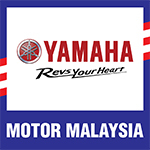 At the moment, the PETRONAS Hong Leong Yamaha rider holds 120.5 points, 57.5 points adrift Azlan Shah Kamaruzaman (Musashi Boon Siew Honda Racing) who leads the standings with 178 points. Sandwiched between the two Malaysian riders is Katsuaki Fujiwara (BEET Kawasaki Racing) with 158.5 points. However the 30-year old could still potentially be the spoiler in the fight between Azlan and Fujiwara, now that the team acquired the help of Suzuka’s double winner, Shinichi Nakatomi’s chief engineer. “We are 57.5 points behind Azlan and 38 points behind Fujiwara. It’s highly unlikely I can improve my position unless both riders fail to complete the race. Hence we decided to put aside the title and take some pressure off the team,” said Zmri. “Our focus at Losail is to win at least another race and I believe we can hit this target with Nakatomi’s chief engineer working with us in the paddock. Based on what he produced in Suzuka and Autopolis, we are certain his presence can put us on the same level with Azlan and Fujiwara, if not better this weekend,” he added. When asked to recap the first five rounds this season, “I think our main problem this year was when I failed to complete Race 2 at Sepang (Round 1) and that caused us to play catch up all season long.